It's just a few hours until I'm in Dublin airport and ready for the first leg of my journey (Dublin to London Heathrow) to attend the MVP 2013 Global Summit. Once I get to London, I then have a 9.5 hour plane trip to tackle but it'll all be worth it I'm sure! 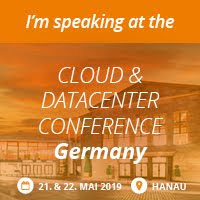 I'm really looking forward to the week ahead and getting an exclusive invitation to go over to Microsoft HQ in Seattle, Washington to interact with the product groups associated with your chosen technology is the highlight of earning an MVP in my opinion. 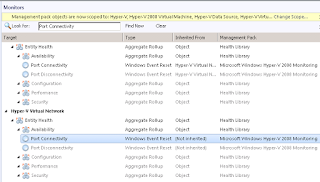 Instead of explaining everything that the summit is and has to offer -it's all under Non Disclosure Agreement (NDA) anyway - I'll let you take a look at this excellent 'Beginners Guide' to the MVP Summit article that Aidan Finn (Hyper-V MVP) wrote a couple of months ago. I know this guide will definitely be referenced more than a few times by me and some of the other newbie MVP's over the coming week! I've come across this problem a number of times over the last few months and know that a few of my other MVP colleagues have too so thought it'd be worth a quick blog post to help anyone out that comes across it. 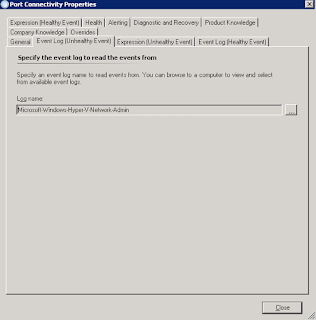 The Windows Event Log Provider is still unable to open the Microsoft-Windows-Hyper-V-Network-Admin event log on computer ‘ws2012-hyperv.kg.com’. 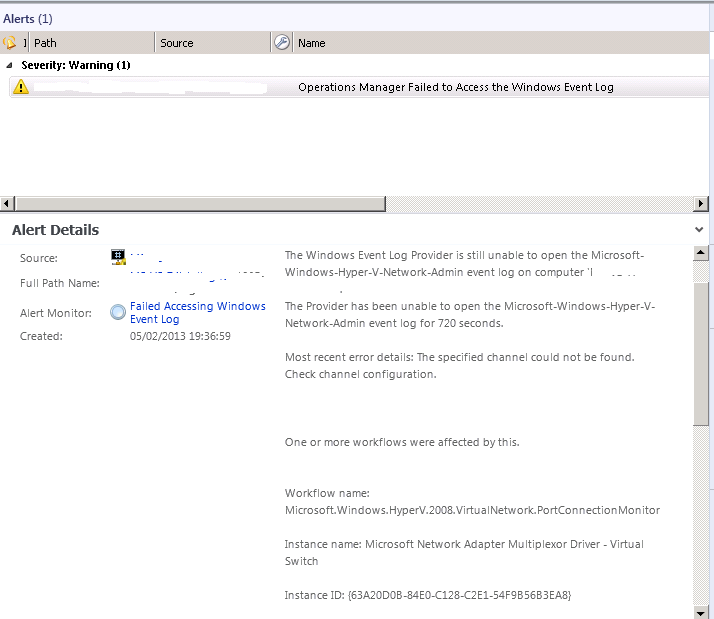 The Provider has been unable to open the Microsoft-Windows-Hyper-V-Network-Admin event log for 720 seconds. 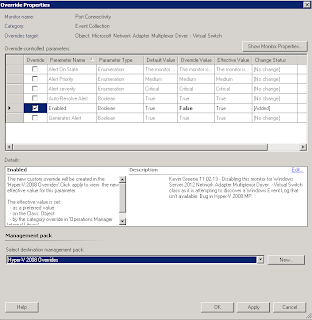 Most recent error details: The specified channel could not be found. Check channel configuration. 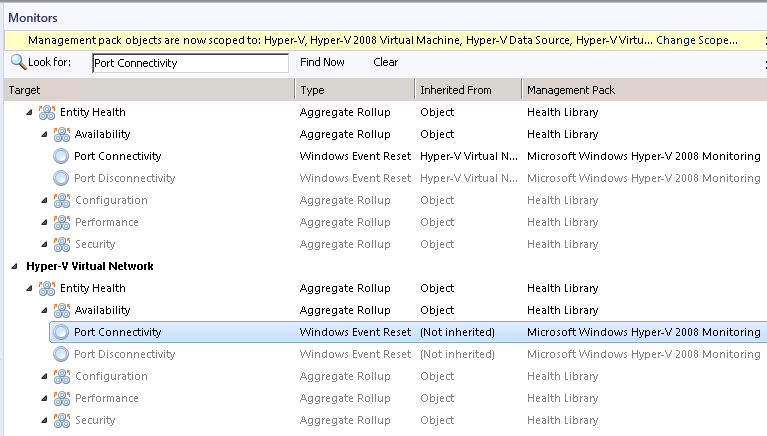 The key issue here is that there are specific monitors in the Hyper-V 2008 MP that look to access the event log highlighted above and in Windows Server 2012, this event log doesn't exist. 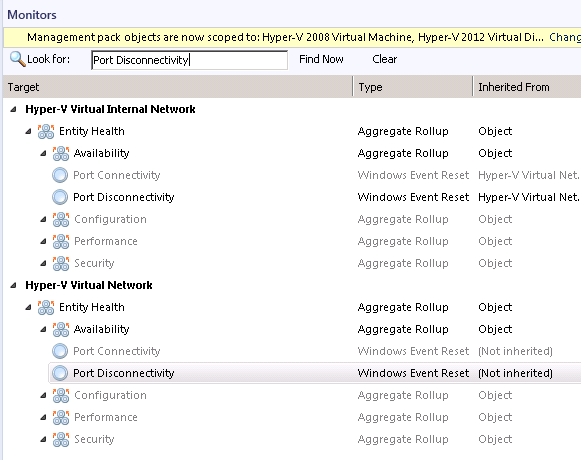 The end result is that you will constantly have your Hyper-V 2012 agents showing up with a warning state in the SCOM console. 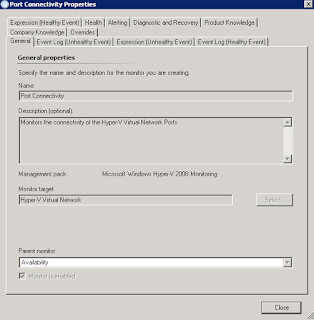 If we double click on the Port Connectivity monitor to view its properties, we can see that its management pack is indeed the Microsoft Windows Hyper-V 2008 Monitoring one and that its virtual target is the Hyper-V Virtual Network class. 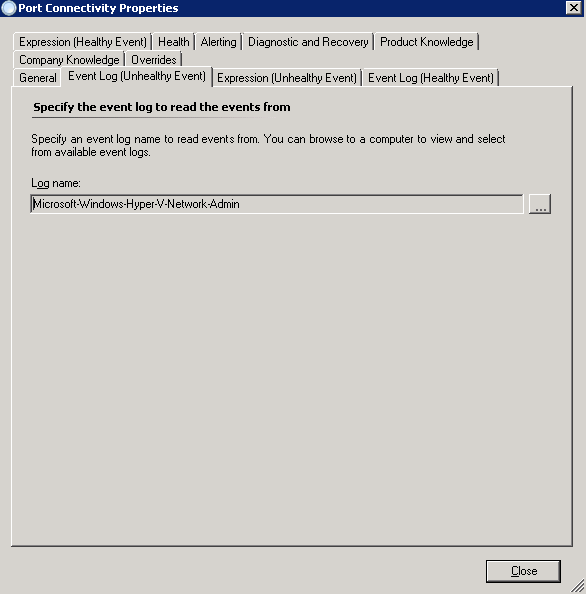 To confirm that this monitor is attempting to open the Microsoft-Windows-Hyper-V-Network-Admin event log that was mentioned in the original error message, we need to click on the Event Log (Unhealthy Events) tab as shown below. Hit the Close button to go back to the Monitors screen to disable this monitor. 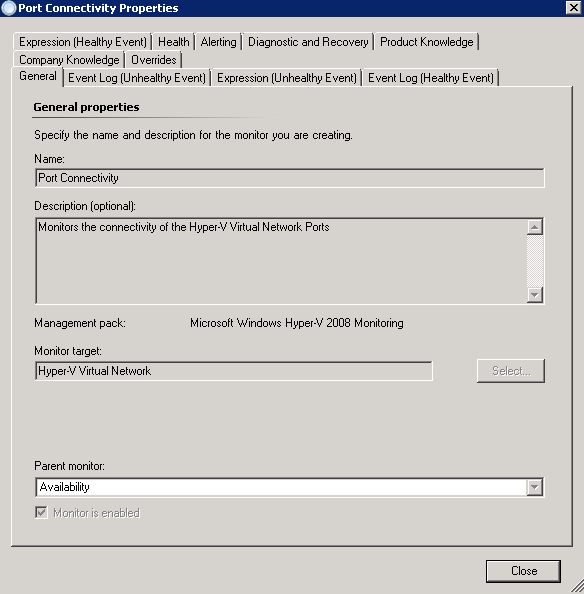 Right-click on the Port Connectivity monitor, choose Overrides, select Disable the Monitor and choose the group or object of class that represents your Windows Server 2012 servers. 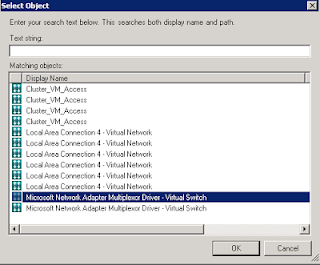 In this example, I've selected an Object of Class: Hyper-V Virtual Network and I am presented with all of the virtual networks that SCOM has discovered as shown below. 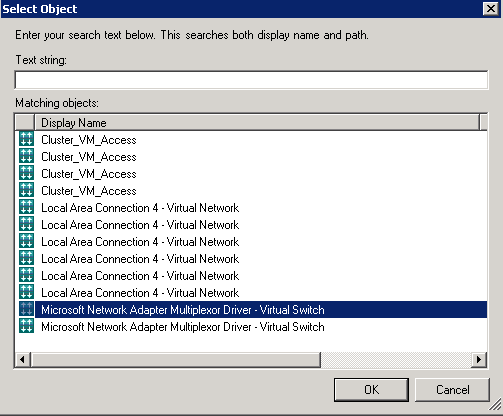 We can see in the screenshot that there are two entries here for Microsoft Network Adapter Multiplexor Driver - Virtual Switch and these two entries represent the two Windows Server 2012 Hyper-V hosts that I have deployed SCOM agents to. 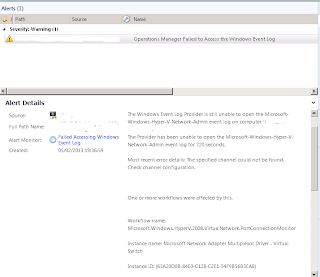 These are also the two servers that I constantly get the warning health state and alert about not being able to access the windows event log. Once you've made the override, click on the OK button to close the Override properties window to return to the Monitors screen. 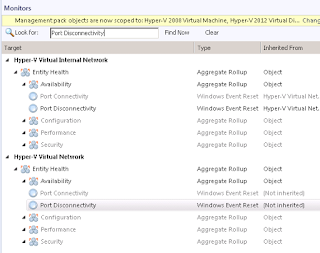 Once you have disabled both monitors for all Windows Server 2012 Hyper-V servers in your environment, then this alert will disappear and health states will return to a valid representation of the agents. 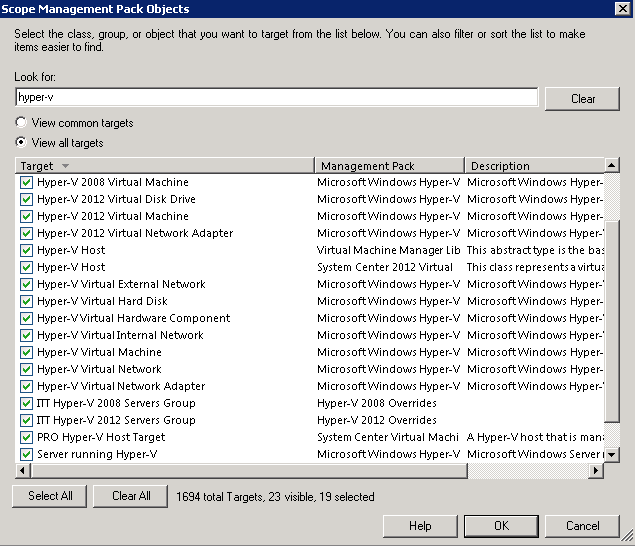 Hopefully, this will be resolved in the next update of the Hyper-V 2008 management pack and in the meantime, this post might have helped someone get past the alerts. 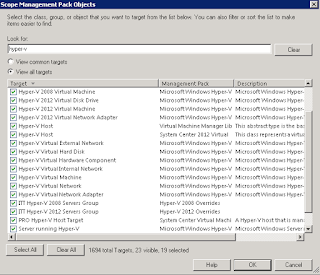 I have some copies of our recent Mastering System Center 2012 Operations Manager book to giveaway as part of a drive for us System Center MVP's to get more people evaluating and using System Center 2012. Update May 2013: I've announced the winners of this competition here. Thanks to everyone for participating. 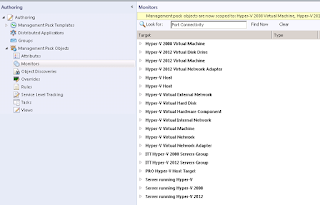 "Microsoft's powerful System Center 2012 Operations Manager introduces many exciting new and enhanced feature sets that allow for large-scale management of mission-critical servers. This comprehensive guide provides invaluable coverage to help organizations monitor their environments across computers, network, and storage infrastructures while maintaining efficient and effective service levels across their applications." 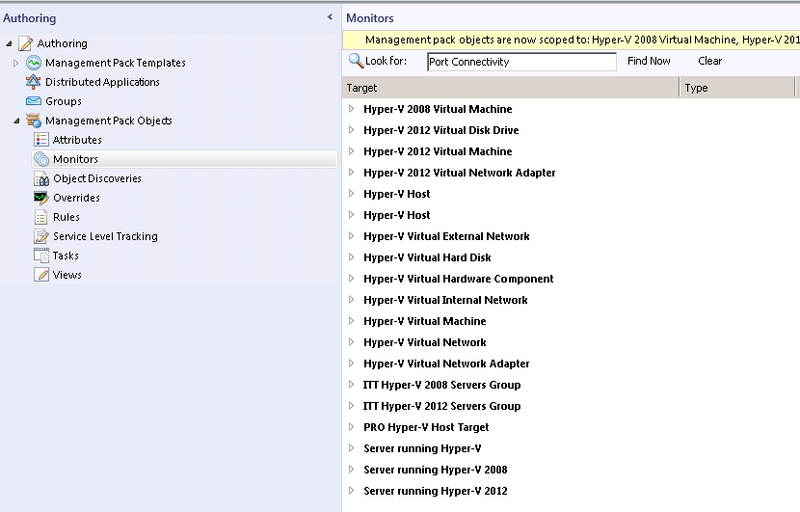 Evaluate System Center 2012 Today! Once it's downloaded, e-mail me a screenshot of the downloaded files with your name and contact details and when we get to 250 unique downloads, we'll pick some names out of the pool of successful applicants to win the book. I'll post regular updates on how things are progressing.